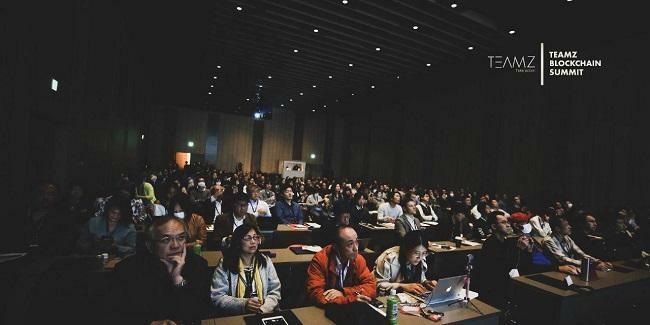 TEAMZ Inc hosted its TEAMZ Blockchain Summit on April 6th and 7th at Toranomon Hills in Tokyo, Japan, which saw participation from some of the biggest names in the industry. The event was co-hosted by Jinse, Cointime, Soar Ex, Ps Ex, and ZBCCM, and the Red Carpet sponsored by Swiss luxury watchmaker Hublot. The concept was to unite traditional finance with the blockchain ecosystem. It was attended by thousands of people, many coming from all over the world. Participating companies included tech giants such as IBM, Microsoft, LINE, Oracle, and others, blockchain startups including QTUM, Publish, Aeternity, and crypto exchanges Huobi, Quoine, and many others. The summit started off with the keynote speech from CEO of Litecoin Haus and director of Litecoin, Franklyn Richards, who discussed the purpose behind the use of blockchain technology and how it can improve many different industries. In his keynote speech, host of Off The Chain podcast and founder of Morgan Creek Digital, Anthony Pompliano focused on transitioning into a digital world. Other prominent speakers included Patrick Dai, founder of QTUM Foundation, who discussed the idea behind cryptocurrency and the issues it solves; Larry Sanger, the co-founder of Wikipedia and CIO of newly Everipedia, who shared his thoughts on how we’re losing our privacy to big social media companies and his plan to use Everipedia to decentralize the information; Dr. Ben Goertzel, CEO of the decentralized AI network SingularityNET, who spoke on decentralized AI and what it could mean for our society, and others. The summit featured a number of panel discussions. The first panel discussion, with the theme “Does Blockchain Need Elon Musk? Fighting For Mainstream Use,” saw participation from five of the biggest corporations in Japan – Microsoft Japan, LINE Corporation, IBM Japan, Fujitsu, and Oracle Corporation Japan – and was moderated by Michimasa Naka, Founder of Boardwalk Capital. Another panel discussion focused on security token offerings (STOs). Titled “STO’s – The New Kid On The Block,” the discussion was focused on security tokens and the changes they will bring to the blockchain market. It included Valentin Preobrazhenskiy of Latoken, founder of Blockvc Kevin Hsu, Lawyer from So Law Office So Saito and was moderated by Publish Inc CEO Sonny Kwon. One of the main topics of the summit was the usability of blockchain. In this expert panel, use cases and how to grow the usability of blockchain around the world was discussed. It included head of blockchain of Accenture Leigh Gordon Ashlin, Litecoin Haus CEO Franklyn Richards, QTUM Foundation founder Patrick Dai, Hublot Greater China general manager Loic Biver, and was moderated by CEO of Soar Labs Seth Lim.